Trifecta. 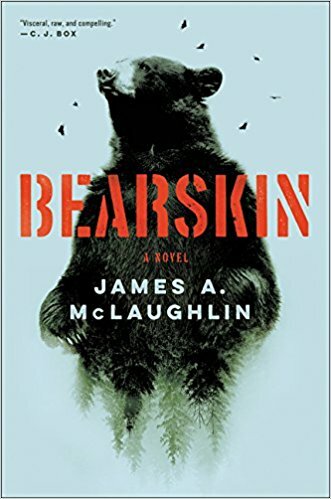 James A. McLaughlin builds three elements simultaneously in his debut novel titled, Bearskin. First, he tells a terrific story that gets better as readers engage with the plot. Second, his descriptive language uses beautiful prose that makes the setting, a remote area in the Virginia mountains, come alive. Finally, he develops a protagonist, Rice Moore, as a complex character who demands solitude and has chosen what he thinks is a perfect hiding place as he works as a caretaker for a large private landholder. Life has a way of disrupting one’s plans, and McLaughlin keeps unraveling a story we want to hear as he uses beautiful language and lets Rice develop relationships that lead him to actions with consequences. I loved every minute on the mountain with Rice. Rating: Five-star (I love it) Click here to purchase Bearskin from amazon.com.